discchord.com is one place to find a partial list and then there’s also AppShopper to search and see if a given one is on sale (since App Store doesn’t show that necessarily). Waves have a free plugin called Sibilance. You don’t have to buy anything to get it. I had a quick look at it and it seems like fun. It can ‘gate’ audio in a unique and fun way. Do I really need another 46.5 gb of drum samples? I got them last year and because they’re well organised and each set is nicely distinguished by icon it’s turned out to be a good resource. Yeah I only spent about an hour with it, indexed some folders of one shots and generated some random kits. Didn’t get much further than that, and definitely didn’t try any automation. Everything just worked though, no glitches, and the interface is extremely slick and a pleasure to use. I guess it’s great they are working on updates, and great they have a demo pre purchase. Let me add that I pulled out a sample, stretched it, and tried to drag it back into Atlas to replace it but it didn’t seem possible. I agree this thing is a steal at $50, and once they add automation (I’ll request a time stretch, too) it’ll be really, really great. Also gives me an excuse to buy more drum samples now that going through them won’t be such a pain!! How are those samples from mars, folks? And I don’t like online help. Might try and feed it from something “else” (like Maschine) and see how that goes. Might also see it as something that ends up being more a sketchpad; then build kits and edit further in Battery for example. So far? Still on the fence. Feel like it is a good idea, I like it; but it is married to a limited UI / playback engine. PS: How did you find the security / licensing stuff @psyclone001 ? Seems you would either need to replace the source sample or add the modified sample into the map? One more on Pro Audio Star- Moog Grandmothers $719 with BF20 code! They’re solid sounds. Even though he ran the 606 samples hard I still throw overdrive and saturation into them. Gotta catch em all man. Yep it’s definitely just another tool for the arsenal. Agreed. Whether it is something that is for me / that I will use is where I am wavering. Definitely would be a change in workflow / you would need to use it as a core tool; else would just be a flash in the pan kind of thing. Add on to UI/UX tweaks would be keeping the “advanced editing” window open all the time / be lockable. It auto hides as soon as you click on the map. What I thought was bizarre is there doesn’t seem to be any master volume for the plug? Not that I could see either. Strange that they put an inflated pre-sale price in the advert so that it seems they are offering a big discount. Oh I see that a lot. That’s the original MSRP price I think. Anyone tricked by that deserves to be ripped off. 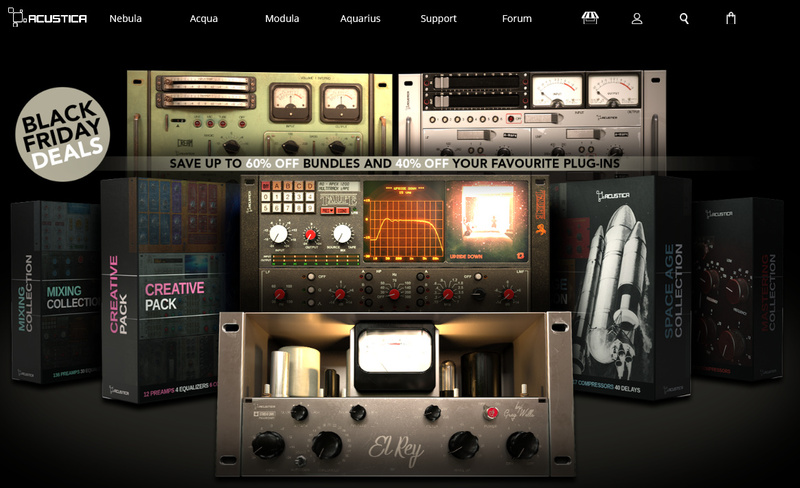 Vengeance Sound 25% off all plugins.